Mineral crystals are atomic or molecular structures that are repeated three-dimensionally and are periodically formed through inorganic geological processes. They are the purest manifestation of energy and light on the physical level. 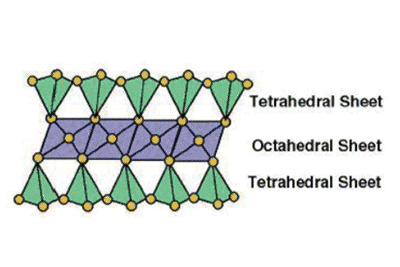 The crystal structure of Kimberlite Clay consists of an octahedral layer sandwiched between two tetrahedral layers. 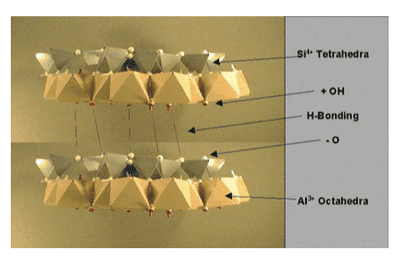 The crystalline tetrahedral structure provides the generation of electric currents as it generates piezoelectric effect by inducing an electromagnetic field to 90 degrees Celsius. When interacting with the skin layers through ion exchange it promotes the disarmament of existing toxins rearranging the electron layer. The result is skin with less toxins. Rankstar Mountain, Brazil – basaltic rock. Clay deposit formation reminiscent. PIEZOELECTRICLY EFFECT These currents are piezoelectricly originated in the tetrahedral structure of clay. They are similar to the currents produced by Pyramid stones of Saqqara, Egypt, through the Earth’s rotation. 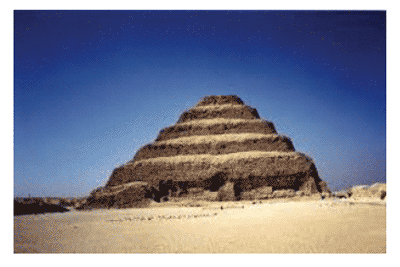 Saqqara is the arch monument to knowledge of energy manipulation in the physical world.